You might have seen the subject of today’s blog coming if you already read our blog Wednesday regarding the 2020 Lamborghini Aventador SVJ Roadster. 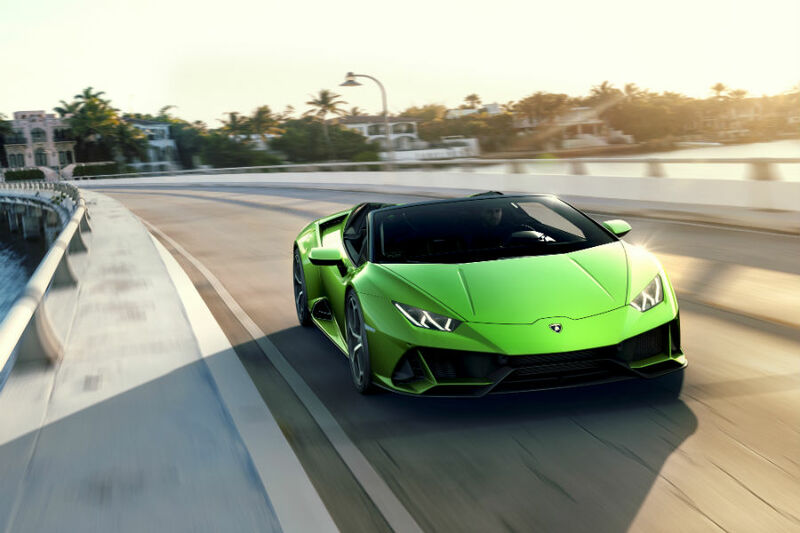 In that blog, we mentioned the fact that earlier this month, at the Geneva Motor Show, Lamborghini introduced a pair of new convertible versions of their most recent models. The second is, of course, the 2020 Lamborghini Huracan EVO Spyder, and it has an expected release date of sometime this spring – so just around the corner! Much like the SVJ Roadster, the new EVO Spyder delivers the same performance specs & features as its coupe counterpart, the original Huracan EVO. That means its V10 powertrain is capable of generating 640 horsepower alongside 443 pound-feet of torque. All that power enables the EVO Spyder to 62 miles per hour in just 3.1 seconds, then press onto 124 mph in 9.3 s. Also capable of hitting a top speed of 202 mph, the EVO Spyder can come to a complete stop from 62 mph in just 105.6 feet. If you’re interested in a new Lamborghini Huracan EVO Spyder of your own be sure to let us know here at the Prestige Imports sales desk! This entry was posted on Friday, March 15th, 2019 at 8:44 pm	and is filed under Lamborghini. You can follow any responses to this entry through the RSS 2.0 feed. You can skip to the end and leave a response. Pinging is currently not allowed.